Our House Call Service can provide the regular veterinary care your cat needs without any of the stress to either you or your Cat! Keep your Cat comfortable at home! Regular wellness exams are crucial for keeping your cat happy and healthy, but many owners are reluctant to bring their cats to a veterinary hospital due to the stress associated with the visit. We can also also offer you advice on how to get your cat to our clinic. 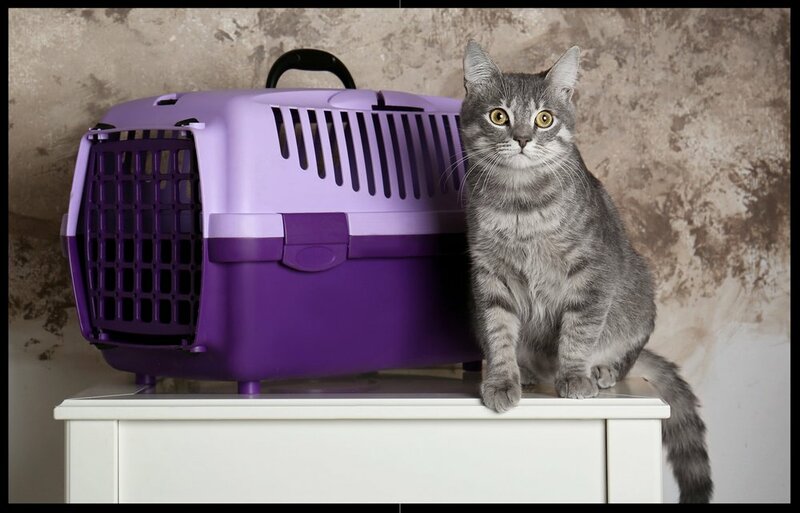 While most cats tolerate an annual trip to the vet without a problem, some cats (and owners) may become anxious over the idea of a carrier and a car ride. For these pets, we are happy to now offer in-home veterinary services. Our mobile care team is happy to come to your home for annual physical exams or if your cat is sick. If your cat requires additional diagnostics, like an ultrasound or X-rays, we will also provide transportation to the hospital, where he/she may be picked up at your convenience. What can I expect during a house call? Dr. Bonder and her technician will come to your home with the necessary equipment to give your cat the same quality care he/she would receive at our hospital. Our in-home veterinary services are available for both wellness and sick visits. These visits may include blood and urine testing, fluid or medication administration, vaccines or other preventative care in addition to the exam. Cats requiring additional diagnostic testing or hospitalization will be transported back to the downtown Toronto cat Clinic. House calls often make important veterinary care visits a more pleasant experience for both cat and owner. What should be done before the appointment? Before any house call appointment, it is important to keep your cat in a small, comfortable room, such as a bathroom. This will keep the cat calm and prevent hiding. A full history will be completed on the phone with one of our technicians. We will also require the history from your previous veterinarian. We also offer a drop-off service which allows you to drop you cat off in the morning of your appointment and pick her up at the end of the day. We also offer a pick-up service, whereby we will pick up your cat. A fee is charged for the pick up service according to distance.